Main features: TOLO-E steam generator with a host of advanced features. We produce steam generator over 10years! Intelligent to heat by segment, fill water with steam, automatic to turn off , a self flushing cycle with pressure to drain. Light can be connected to controller, water inflow to magnetize and filtrate etc. Intelligent to indicate fault with the code. 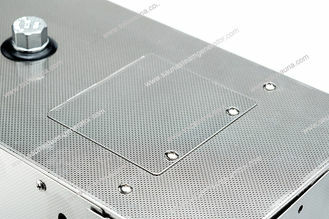 Intelligent to save two sets of temperature, can individual set time by memory. 1. 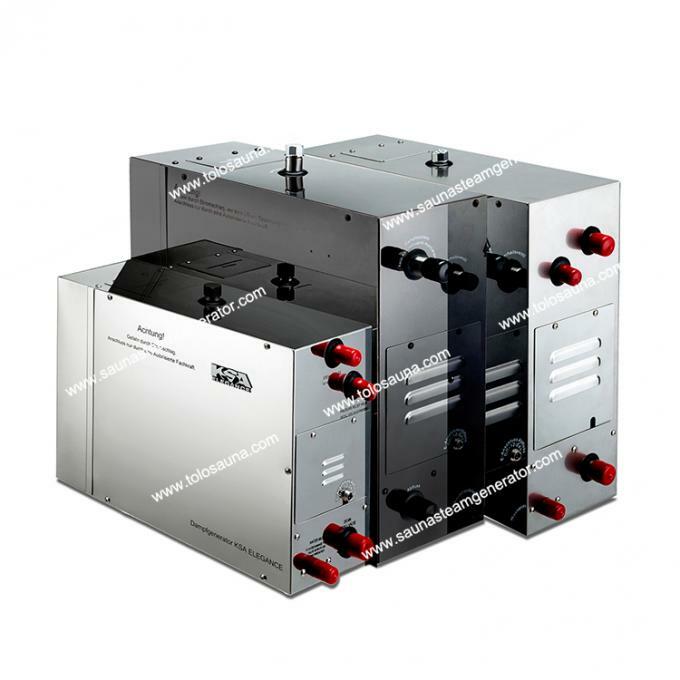 TOLO-E steam generator have middle size to install easily. They have 304 stainless steel water tank, 304 stainless steel heating element with high quality Teflon to prevent water scale. 2. The controller has 6 bottoms to set working stages. working time 1-60mins can be adjusted or long ,the setting temperature of the steam will be in 6-60C degrees and can be adjusted between 35-55C degree (95-131F degree).KSA-E steam generators feature an advanced electronic control with on board diagnostics having a series of LEDs to show each operation of the gernerator. Each generator has 3 groups of heating elements to provide sequential heating (from cold all 3 groups operate for maximum power and rapid heating, when the steam room temperature is almost reached, then group 1 stop, when the required temperature is achieved, then group 2 stop. The group 3 alternates on and off to gently maintain the temperature without large fluctuations improving user comfort). 3. TOLO-E steam generators have an auto drain down with a self flushing cycle to dump the boiler contents in a controlled manner - at the end of each steaming session the drain valve will open and after a short time the cold water inlet valve will open to give a period of continuous flushing and draining. Flushing and draining the boiler reduces the build up of damaging limescale, cooling the elements before the final drainage helps prolong their useful life. Electronic controls with a digital display to enable temperatures of 30 to 60 degrees centigrade and time duration 1 to 60 minutes or continual operation with additional keys for a steam room light, keyboard lock, manual drain down etc.Safety features include boil dry protection, thermal overload safety cut out and pressure relief valve. A daily steam bath is a remarkable way to indulge yourself. It causes the perspiration that is the single healthiest thing you can do for your skin. Stress and negativity quickly dissipate in the soft clouds of intense yet comforting heat. A few minutes of steam daily, in the comfort of your own home, is an opportunity to improve your overall well-being in every way. Notice: TOLO-E steam generator are equiped with auto drain system. 9~12 KW units could be customized to 220~240V on request.